The one thing we know about the Angkor Empire is that we know an awful lot less than we don’t know. With little but the magnificent buildings they left behind to guide the archaeologists and other Angkor era decoders, the quest to understand how they lived, celebrated, governed and prayed is a challenging one. Different sites each turn up their own tiny clues into all kinds of aspects of how the Khmer Empire was managed, and one particularly important one was the subject of a dig that finished up in early December 2011. The site was a sculpture workshop attached to the 10th century Bakong temple, which was found entirely by accident in the 1990s. 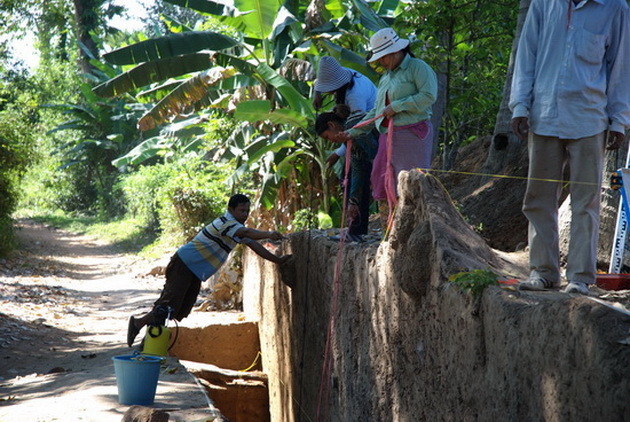 Sifting through 1,000 years of dirt and sandstone chips, a team of archaeologists from the University of Sydney and the Apsara Authority thinks they may have discovered a few more answers to some of their questions. “The history of Angkor is still being written”, said Dr Martin Polkinghorne from the University of Sydney, “And our understandings are rapidly changing. What we’re learning from the workshops is making an important contribution to the story. 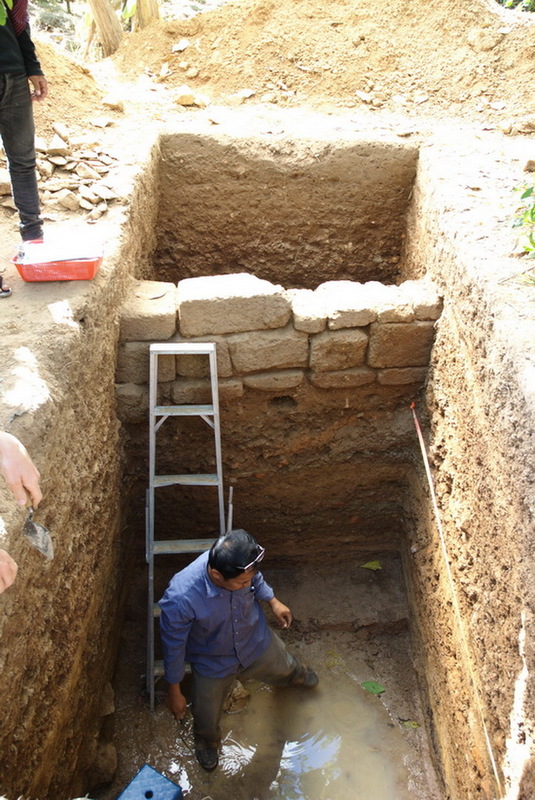 Funded by the Australian Research Council, the excavation at Bakong started five weeks ago and, after winding up that dig this week, the team will soon move on to another site nearer Angkor Wat. The Bakong workshop was first spotted in the 1990s by the former director of the Ecole Français d’Extrême Orient, Christophe Pottier. Exploring the forests around the temple, he came across an unusual quantity of sandstone chips and further exploration revealed two enormous uncompleted statues of a size that is quite rare in Angkor. 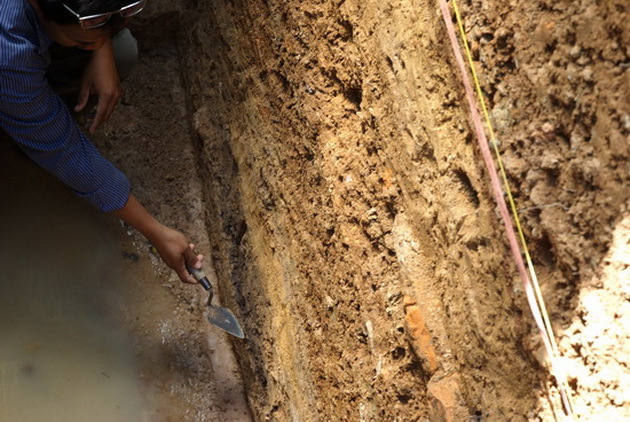 Carefully digging almost three metres down into the ground, the team has discovered ninth and eleventh century ceramics and carvers’ tools, casting a new light on our understanding of the techniques used to build and fashion the Angkorian temples. Through the middle of one of the two dig sites runs an intact wall, crowning less than half a metre below ground level. 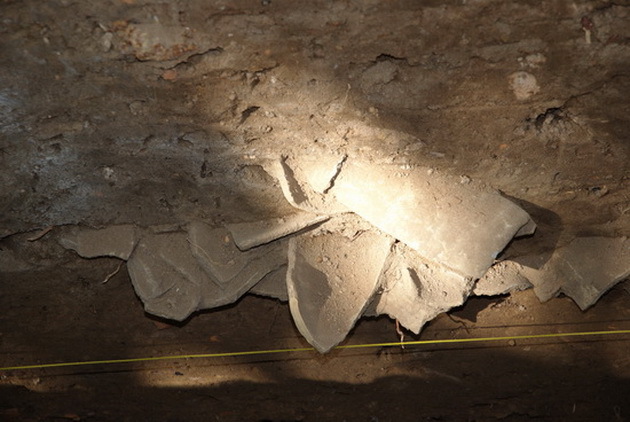 In the other one bits of roof tiles and other ceramics jut out of the open face about two metres down. Looking at the face exposed by the dig, different levels show clearly different levels of activity, with evidence of a very highly productive workshop at work in the ninth century. The proximity of the workshops to the temples their works adorned indicates that the royal and administrative elites wanted to keep a close eye on the work being conducted there. Despite Angkor being made of stone, only 10 iron chisels have been found in all of the excavations conducted so far, and the team has now added two more to that surprisingly small trove. 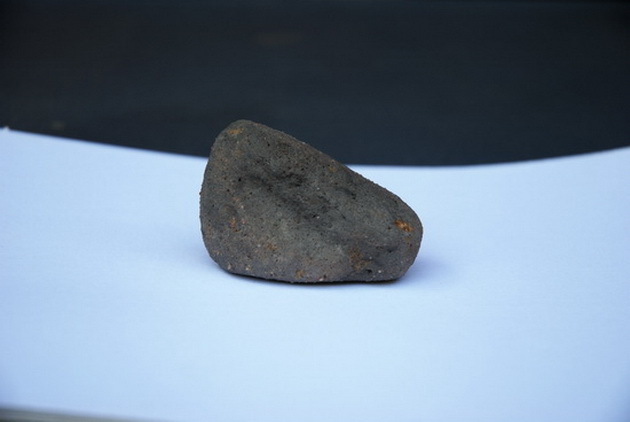 The team also discovered tools for smoothing the carvings made out of river stones and clay. “Tools like this are a direct link to the past” said Polkinghorne. 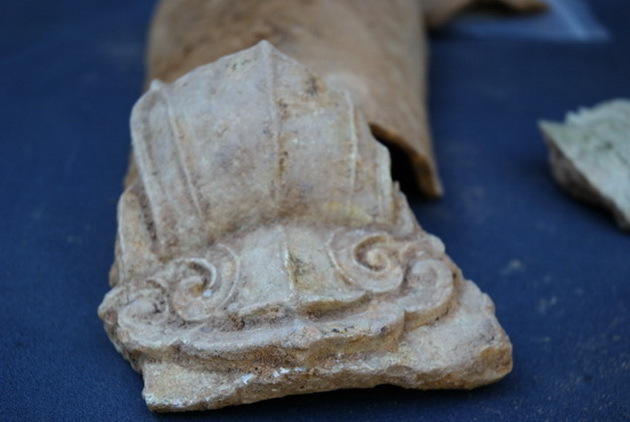 “As a result of these finds, we already understand more about the final processes for carving the statues and walls. Today they use sandpaper and very smooth river stones. The ones we’ve found are unknown and a very significant find. The finds have highlighted the differences in techniques used back then. Early tools were certainly of lesser quality than those used today, which makes the technical achievements of Angkor all the more remarkable. Some finds have left more questions than answers. Amongst the finds are seven or eight stones the size of two fists with very distinct holes worn into them. 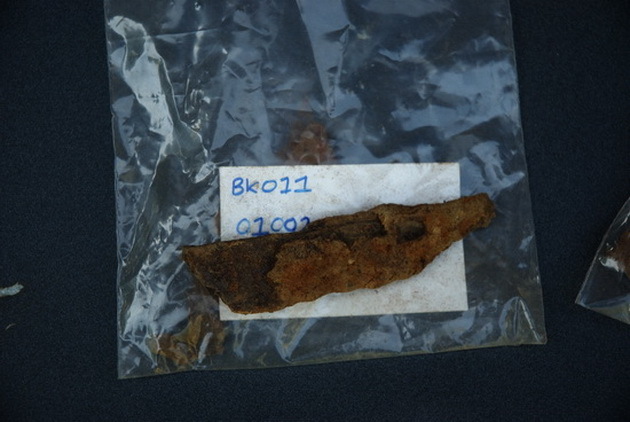 Their purpose isn’t clear yet, though Hou Nolamony, an archaeologist from the Apsara Authority, believes they may have been used as part of a system for sharpening tools. “It’s a mystery for now,” said Polkinghorne. Even though the workshops may not have been used for almost 1,000 years, the team was surprised when the owner of the house near the dig site informed them that his grandfather had told him they lived beside an ancient workshop.